New overall leader of the race is Australian Benjamin Hill (Ljubljana Gusto Xaurum). Dutch Dylan Groenewegen (LottoNL Jumbo) won second stage of the 25th Tour of Slovenia. Second was Matteo Pelucchi (BORA hansgrohe), third was Luka Mezgec’s teammate Caleb Ewan (Mitchelton-Scott). Best Slovenian was Rok Korošec (My Bike Stevens) in ninth. (10km to go) It’s just a matter of time when the leaders will be caught. Everything is read for the sprint finish in Rogaška Slatina. Mark Cavendish had a problem with his front tire and had to change the wheel, he's now chasing the group. (16km to go) The peloton “had enough”, breakaway riders will be caught soon. They are just half a minute ahead. (23km to go) Leaders Gašper Katrašnik (Slo/Adria Mobil) & Vojtěch Hačecky (CZ/Elkov Author Cycling Team) are not giving up. The gap is now again at over one minute. (25km to go) Hero of the stage Hill has won the last intermediate sprint and is now waiting for the big group. Breakaway riders are now just half a minute ahead. 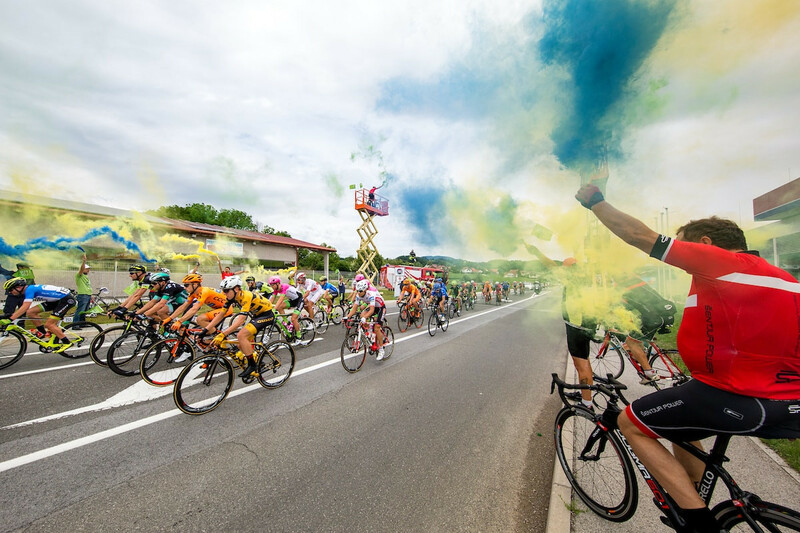 (27km to go) Cyclists are speeding towards the finish in Rogaška Slatina. Main group is still at two minutes. (33km to go) Only 33 kilometers remaining. Gap between the leaders and the main group is at around two minutes. (40km to go) Benjamin Hill won also the premium sprint in Lesično-Kozje. Leaders are now one minute and 50 seconds ahead of the main group. Australian Caleb Ewan crashed on the technical descent from Planina, he also had to wait for the mechanic to fix his bike. One of the race favorites has already crashed on Wednesday. But he has enough time to catch up with the group. (54km to go) Australian Hill is in the virtual green jersey thanks to bonus points he got on the today’s stage. Leaders are now just over two minutes ahead of the big group. (58km to go) Cyclists are on the start of the 3rd category climb to Planina pri Sevnici. Lead of the breakaway group is now down to 2 minutes and 30 seconds. (90km) Race director said that there should be no rain, but we are seeing raindrops. Nothing series for now. (80km) Gap of the leaders has shrinked a little bit more. They are 3 minutes and 30 seconds ahead, and we are on the halfway of the stage. (73km) Leading trio is just under four minutes ahead. Meanwhile we have another great news from the field – the chance of rain is smaller and smaller. This is at least what Race Director Bogdan Fink said. 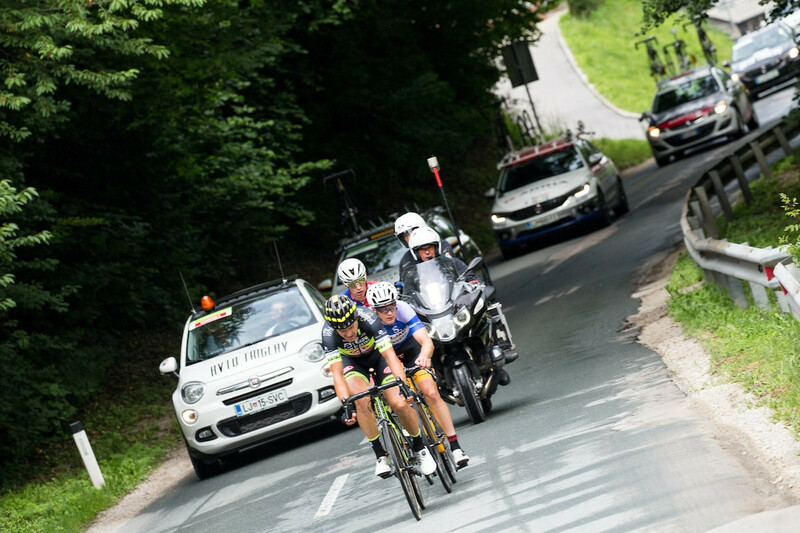 (67km) Main group still has a high pace, the lead of the three breakaway riders is now under four minutes (3:50). (42km) Main group is 5 minutes 15 seconds behind Katrašnik, Hill and Hačecky. We also have a report about first DNF – Brit Daniel McLay (EF Education First-Drapac p/b Cannondale) has left the race. Drinovec and Cully had back down. 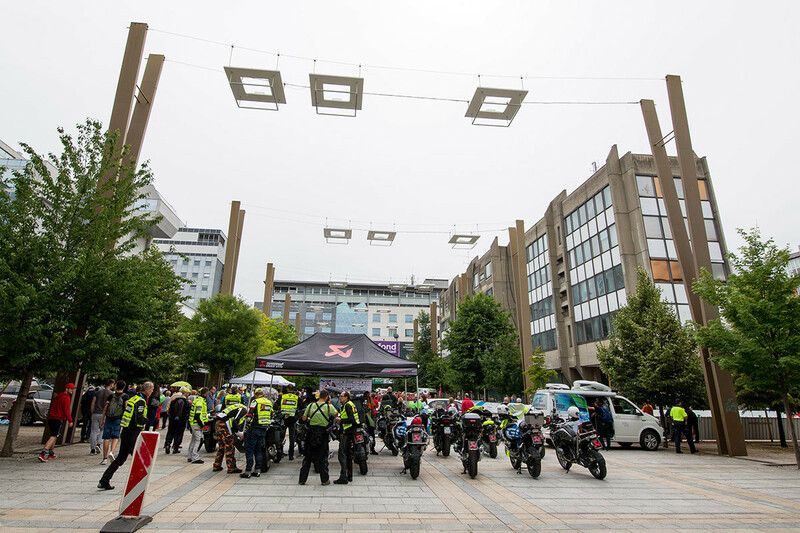 Now we are back at the one big group and three riders in the escape, they are already over five minutes ahead. 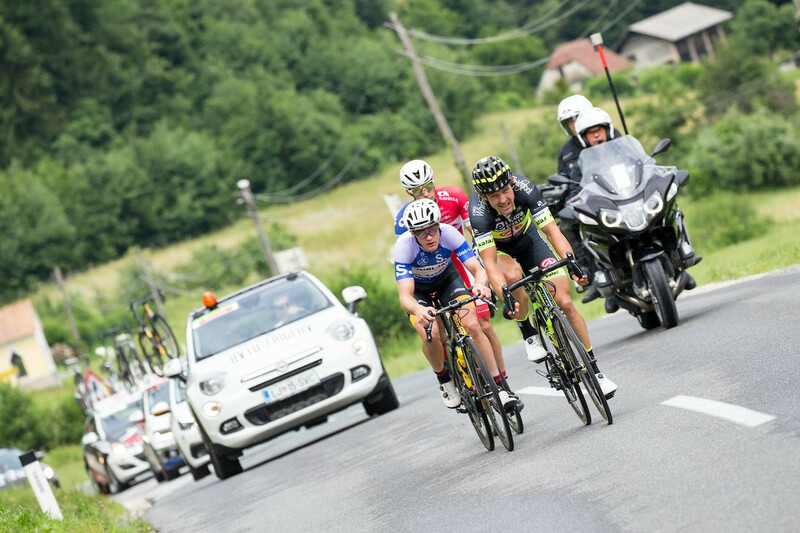 (32km) Leading trio (Gašper Katrašnik (Slo/Adria Mobil), Benjamin Hill (Aus/Ljubljana Gusto Xaurum) & Vojtěch Hačecky (CZ/Elkov Author Cycling Team)) is around three minutes ahead of Drinovec and Cully, peloton is still on the distance of five minutes. 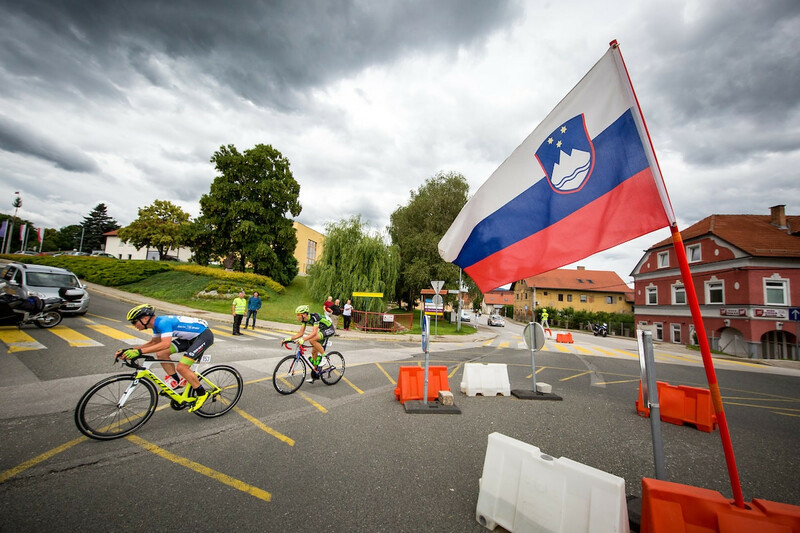 (28km) Matej Drinovec (Slovenian National Team) and Jan Andrej Cully (Dukla Banska Bystrica) are now together, but they are far behind the leaders – 3 min 20 sec. Main group with all favorites is even further back – 5 min. (23km) Main group is now 4 minutes & 30 seconds behind the breakaway group. 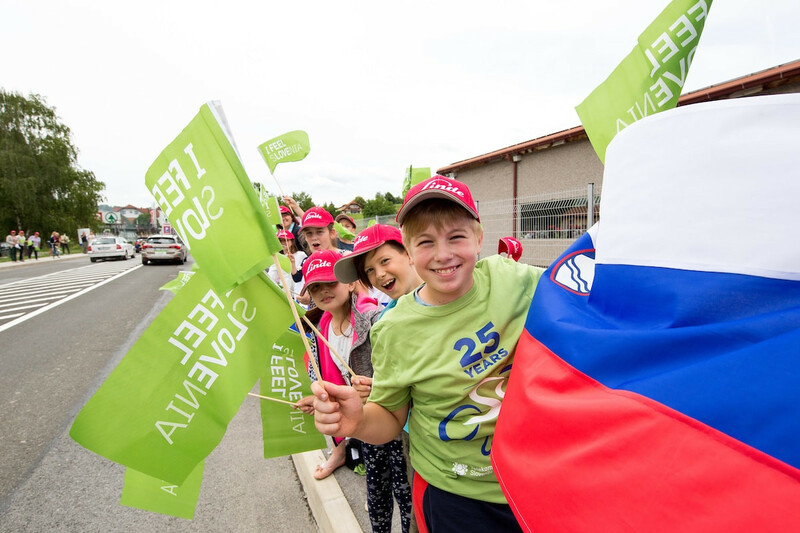 (20km) Leading group is keeping their distance to the main group, Drinovec is now over two minutes behind, another minute behind him is Slovakian Cully. It seems that we’ll only have three cyclists in the escape today. The gap of the breakaway group is now at almost four minutes (3:40), Drinovec is more than a minute behind the leaders. It is possible that he’ll not catch the trio. 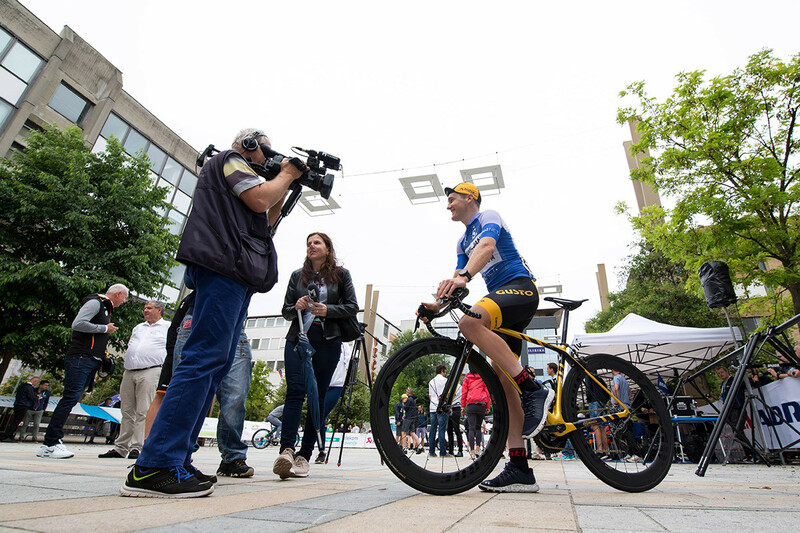 (16km) Leading trio has a lead of two and a half minutes, but there is another cyclists closing in on them – Matej Drinovec (Slovenian National Team). He’s now 55 seconds behind the leaders. (12km) We have first successful breakaway! Gašper Katrašnik (Slo/Adria Mobil), Benjamin Hill (Aus/Ljubljana Gusto Xaurum) & Vojtěch Hačecky (CZ/Elkov Author Cycling Team) are one minute ahead of the main group. It’s not raining, but the clouds are very dark. It would be a real miracle if we would finish the stage in dry weather. 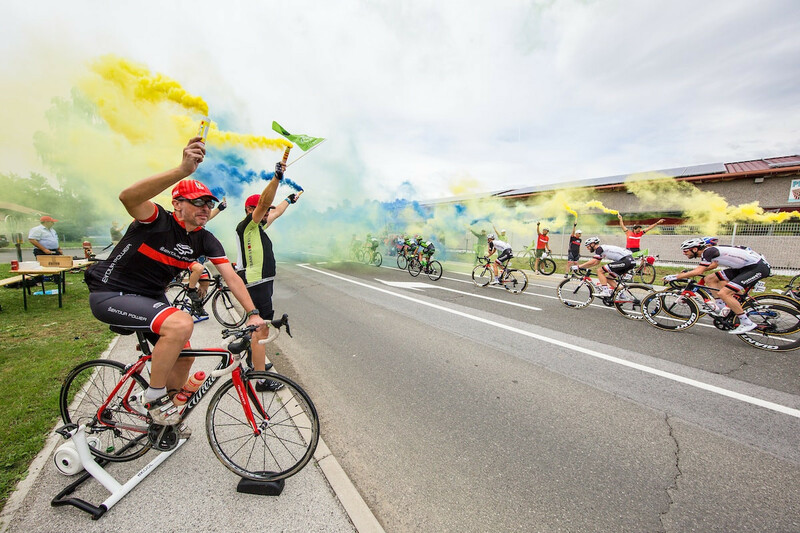 Cyclists had crossed the zero kilometer mark and the race starts for real. Of course we already saw first attack right after the signal from the commissar. Individuals are already trying to escape. 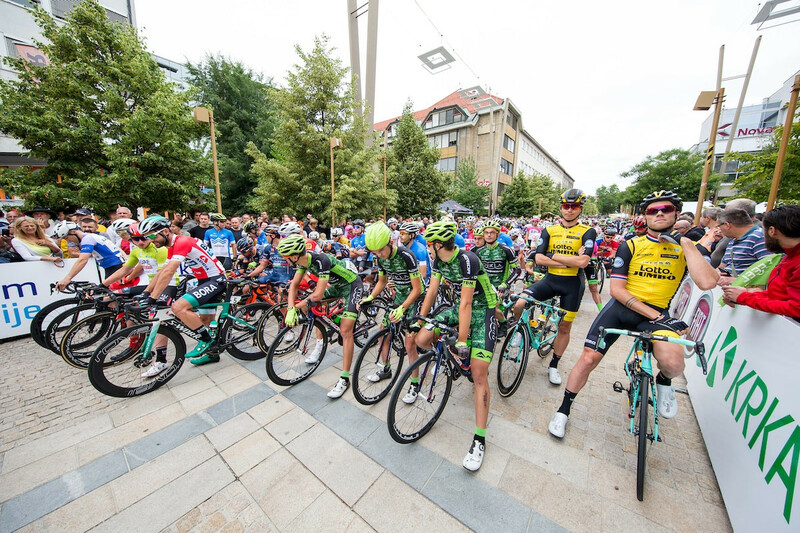 Start of the second chapter of the 25th Tour of Slovenia was in Maribor at 11:15, the stage will finish in Rogaška Slatina at around 15:00. Sprinters should be in the spotlight today as well, which also means last opportunity for biggest stars of the race, German Marcel Kittel and Brit Mark Cavendish. 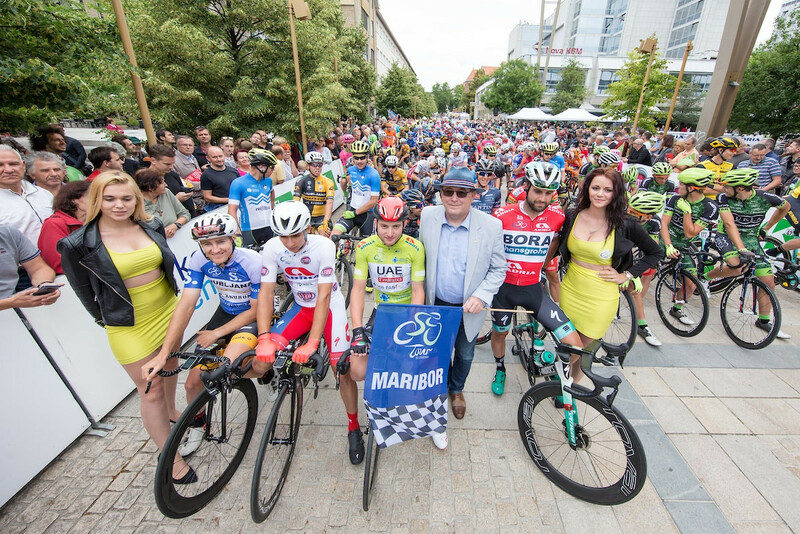 There were some problems in the last kilometer of the first stage, but we still have all 151 cyclists on the start. 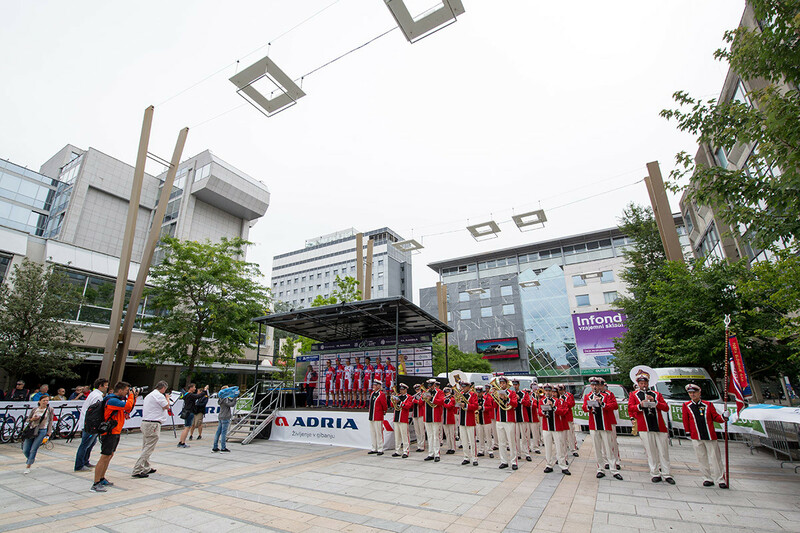 We’re close to the start of the second stage of the Slovenian tour. 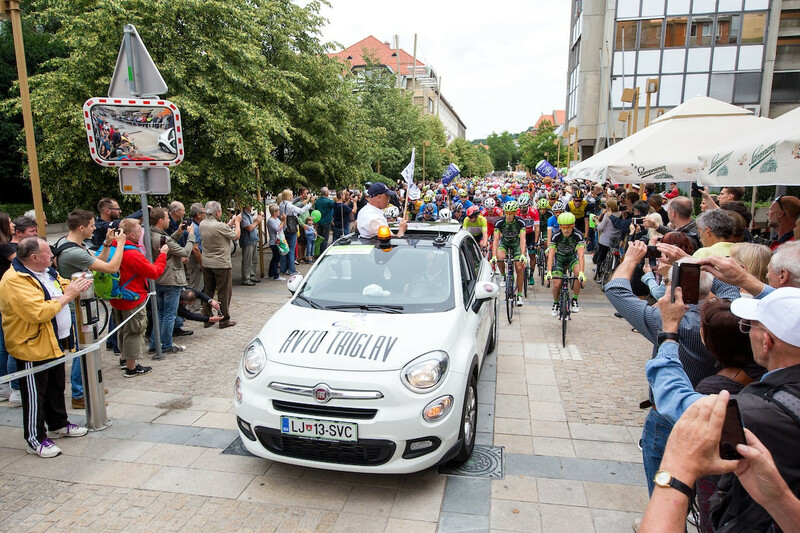 The day will start in Maribor, riders will be in Rogaška Slatina at around 15:00.